How do you choose the best climbing shoes? Your experience level, the fit, and price point should all come into play. These shoes will vary depending on the style of climbing you plan to do and the level you are at. For example, difficult bouldering will necessitate a downturned shoe. However, if you’re going to be spending time on a multi-pitch wall, then you’ll more than likely seek out a more flat, comfortable option. There’s a lot that goes into choosing the best climbing shoes. 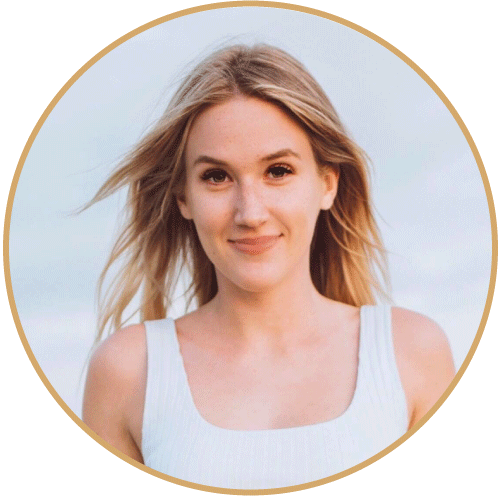 Lucky for you, we’re here to walk you through the process. Our picks run the gamut - from men’s and women’s styles, popular brands to up and comers, and from beginning level to advanced. Let’s have a look. Are you looking for the all around best climbing shoes? If you plan on spending most of your time in the gym, you should get shoes oriented towards that. 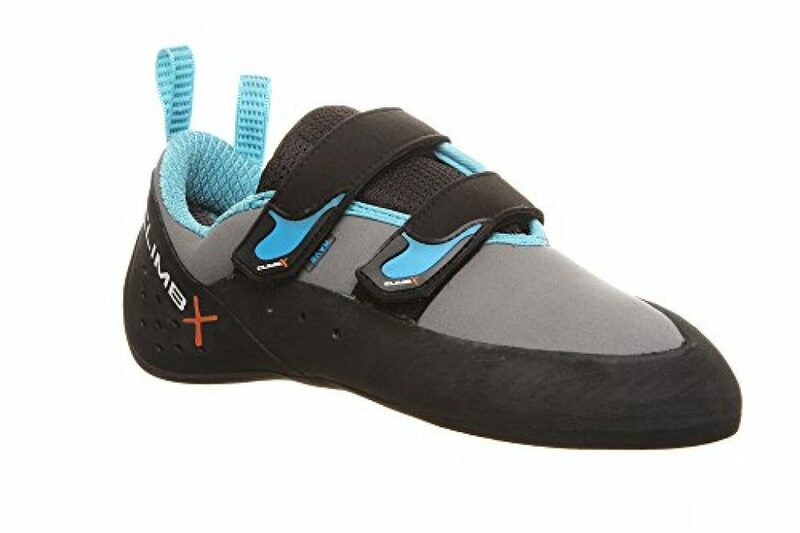 Gym climbing shoes tend to have a gently curved toe box. These shoes are great for beginners since they are very versatile and comfortable. When you try them on, make sure the shoes fit so your toes are pressed up against the ends. Then, choose from velcro or lace-ups. If you’re going bouldering, you need a tight-fitting, aggressive shoe style. 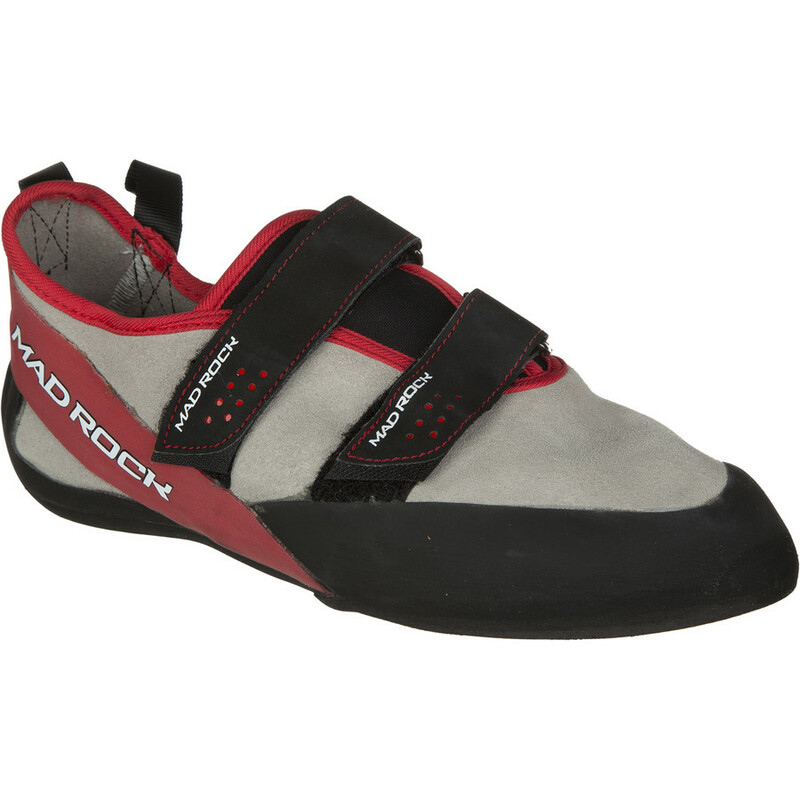 With downward pointing toes, these shoes will get you through steep overhangs and difficult placements. However, there is a downside to bouldering shoes. Since they are made for difficult navigation, they do not offer as much comfort and support as shoes made for all-day climbing. Tight technical shoes are what you’re going to need here. 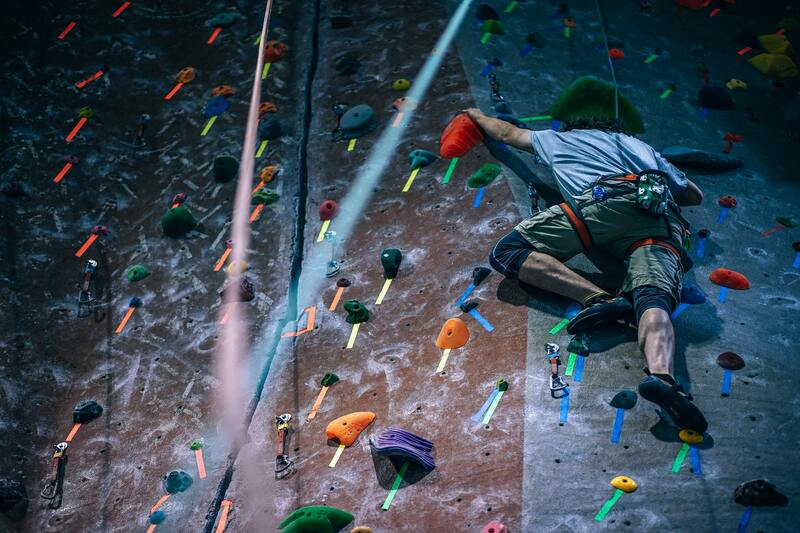 When you’re dealing with steep faces, getting the best climbing shoes for the job is critical. It’s not only a matter of comfort but safety as well. For thin foot placements, seek out stiff shoes. Most climbers prefer a fit where their toes are pressed up against the tip of the shoes. Velcro shoes are easy to slide on and off. If you’re looking to adjust the fit more, lace up is the way to go. Flat-toed rubber shoes with a thick sole will do the job. In contrast to other styles, make sure that your toes are not curled on flat or uneven surfaces. This will cause a lot of discomfort and strain on your feet. Another important thing to note is that you need lace up shoes. Velcro tends to get caught in the cracks. Generally speaking, leather is the most common material for the upper climbing shoes. Other materials such as fabric or synthetic leather are often employed too. Natural materials tend to offer better stretch and do not retain odor as much. Something you should know is that shoes with an unlined leather upper can stretch up to a full size over time. Know your materials and know them well. Have you heard about the brand Scarpa? This multi-generational business has its headquarters in northern Italy and was founded in 1938. Their company is built on performance footwear for all sorts of outdoor activities. Whether you’re going climbing, skiing, hiking, mountaineering, trail running, and more. The Men’s Instinct VS Climbing shoe is softer than its predecessor. The design has also been altered, featuring a single ankle strap and Vibram rubber edge. What we love most about this shoe is its versatility. You can use it from anything from boulder problems to overhanging gym routes. It offers sensitivity yet just enough power you need. These are some of the best climbing shoes on the market. 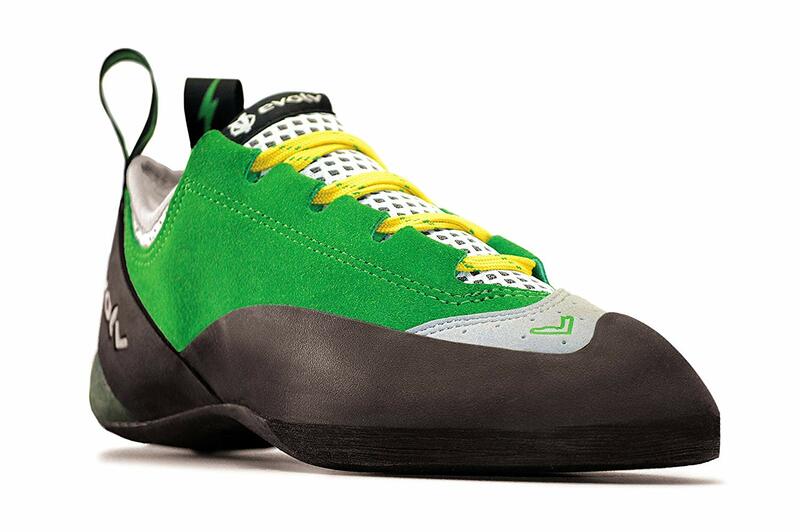 All around, the Climb X Rave are some of the best climbing shoes. The construction is double stitched, there is a padded collar and heel, a durable polypropylene midsole and one-piece binding. The sizing you should get depends on whether you are looking for comfort or a more aggressive type of performance. Just make sure you keep in mind that the best climbing shoes are supposed to be tight and your toes need to touch the end of the shoe. It’s also important to note that these shoes already come downsized. 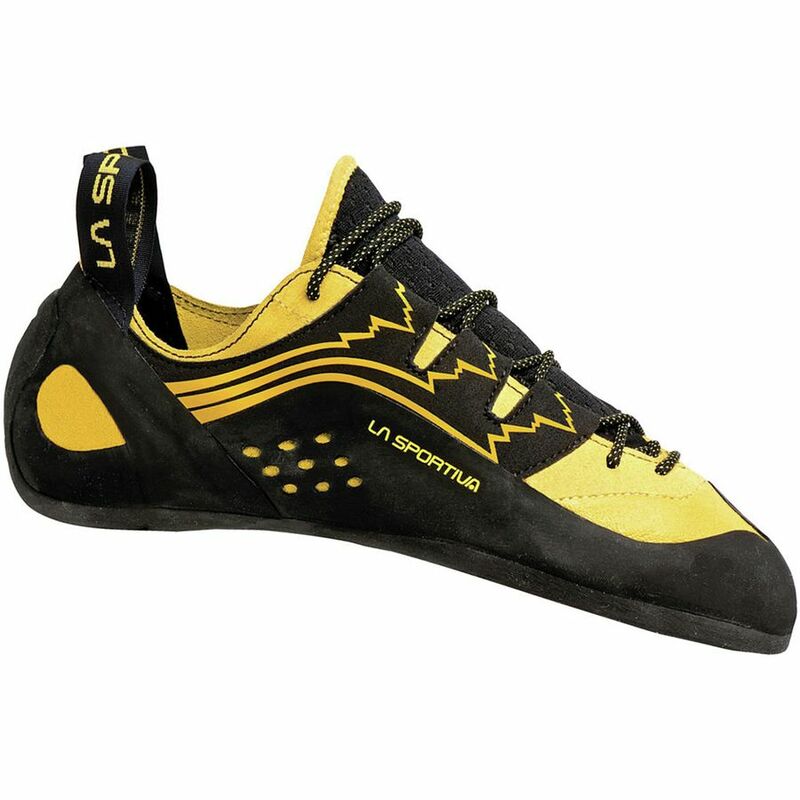 These super comfortable high-performance shoes from La Sportiva offer the perfect solution for any climber. These shoes really do it all. They are designed for intermediate climbers and feature a rugged heel rind made from rubber. The low symmetry shape, great grip, and sensitivity all come together to create a truly unique product. This company refuses to sacrifice performance for anything else. Synthetic overlay harnesses provide great support for beginning to mid level climbers. Unlined leather uppers and the breathable tongue are comfortable and soft to the touch. Whether you are hitting up your local gym or climbing an expert pitch, these are some of the best climbing shoes for men. They’ll keep you moving up. 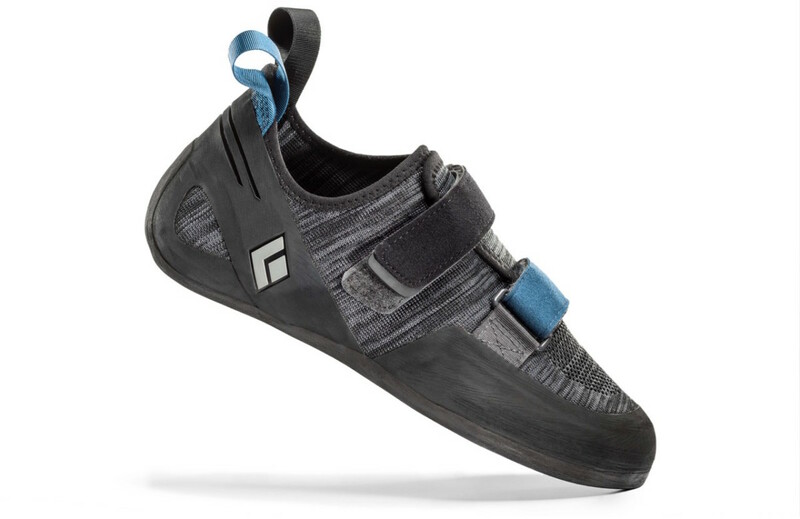 When it comes to the best climbing shoes, Black Diamond knows exactly what you need. This style provides unparalleled comfort, moves with you, and provides plenty of support along the way. The two-strap velcro design provides innovative tech with an entry-level shoe that exceeds all of your expectations in performance. Taking a look at the upper fabric, you will find that it is composed entirely of their engineered know technology. The Momentum Shoe provides all of the stretch when you need it most as well as exceptional breathability. Microfiber was also added in to stretch and maximize your comfort. All of the shoes from the Black Diamond line have been optimized for weight, consistency, and comfort. 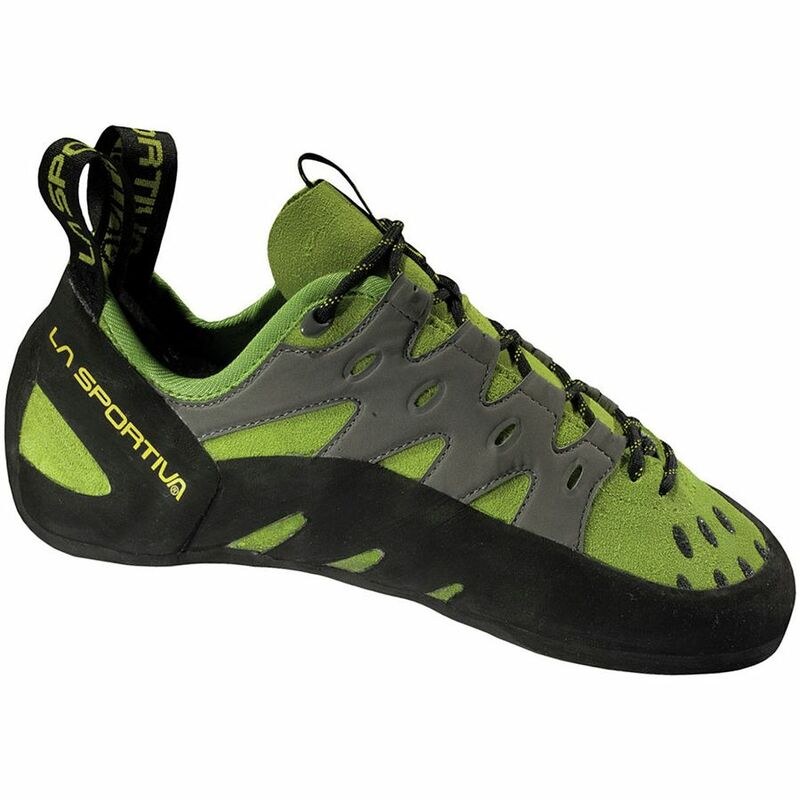 With these shoes, you can enjoy moderate routes, whether you are bouldering or in a gym session. Don’t let these shoe’s stylish appearance trick you. These are some of the best climbing shoes. They get the job done, providing an astonishing value for the price. The upper material is made from a premium leather and the midsole, from compressed polyester. This company offers nothing short of great, high-tech quality. Since Mad Rock began in 2002, they have sold more than one million pairs of shoes. With this said,they strive to improve themselves and be more innovative on the daily. In the spirit of innovation, they use only the best materials to construct their shoes in the hopes of helping climbers all around the world. 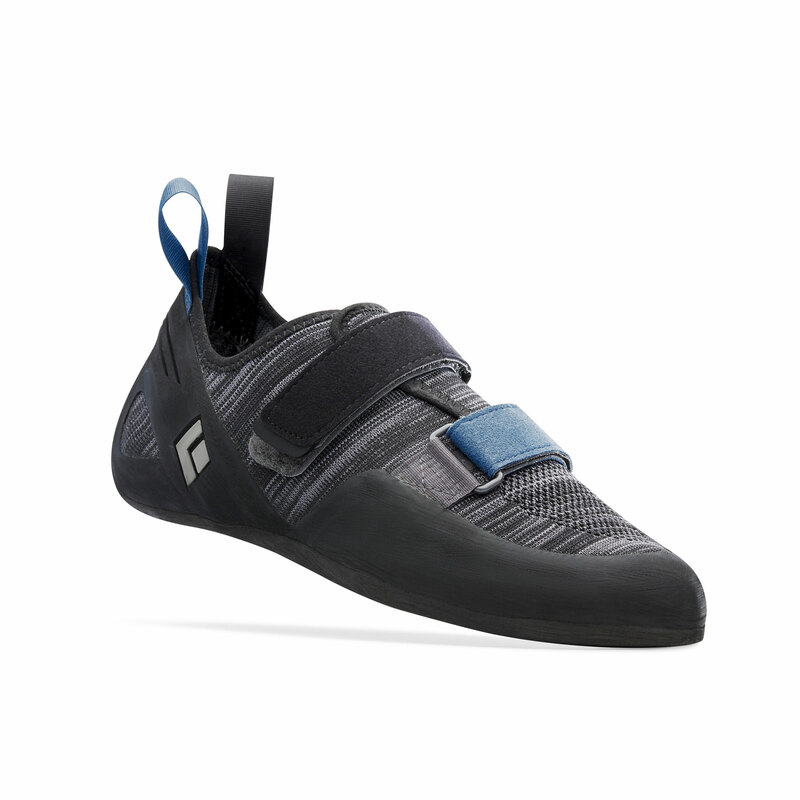 These are some of the most versatile shoes in the climbing game. The Katana Lace style from La Sportiva is a tried and true multi-pitch success. Thanks to the Vibram XS Edge and the medium asymmetry, these shoes have reliable grips and the best holds. In addition, the signature P3 Permanent Power Platform guarantees the shape will hold the way it is supposed to even after many years. The best climbing shoes are made from a high quality leather upper. Evolv’s Spark Climbing Shoe offers nothing less. Then, it kicks things up a notch. The shoes are lined with a 3-D Air Mesh in both the heel and the tongue, resulting in a comfortable and supportive fit. Enhanced Arch Support (EAS) technology builds out the arch structure into the outsole. The result is great comfort and support for the midfoot. Start your climbing adventures off right with the right shoe. We hope you enjoyed reading our article on the best climbing shoes. As you can see, the type of climbing shoes you choose is so important. Whether you are a beginner or a novice, there are styles out there that will work for you. Just make sure the style of shoe you are getting is in line with your level of expertise. 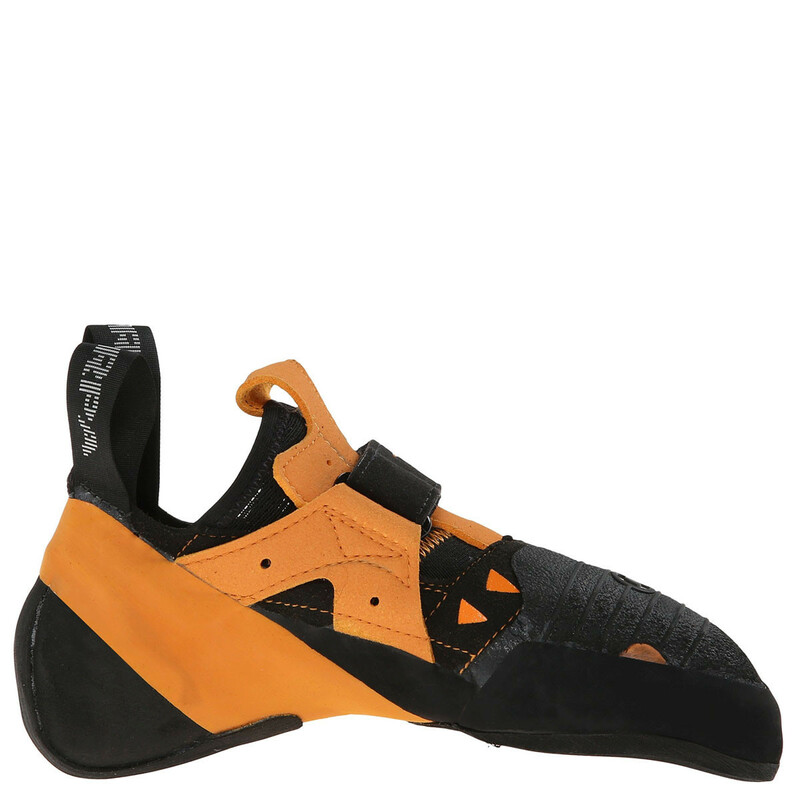 Furthermore, the type of climbing shoes you get should also line up with what type of climbing you want to do. Remember, there is gym,, bouldering, steep face, and uneven surface climbing. Do you have a favorite pair from our list of the best hiking shoes for men? Let us know in the comment section below.